The sun is shining, the water is warm and the ice cream fresh. It is a typical summer day on Lake Caldonazzo in Trentino in the foothills of the Italian Alps. “The best thing about this place is coming back the next year,” says a young holidaymaker from Belarus. “It’s my third time here and everything is fun. I like the mountains, the lake and the people,” she adds. The 14-year-old girl is staying at the SOS Children’s Villages holiday camp in Caldonazzo. She is one of around 1000 children from over 40 European SOS Children’s Villages who have the chance to spend several weeks each summer in tents or bungalows at the lakeside resort. Aside from the attractions of the lake and the water sports, the children can chose from a wide range of other sporting activities, including football, basketball, cycling and mountain walks or can attend creative workshops. “Or they can just lie on the grass, look at the sky and do nothing. It’s their holiday,” says the camp’s Logistical Coordinator, Stefania Bortolotti. 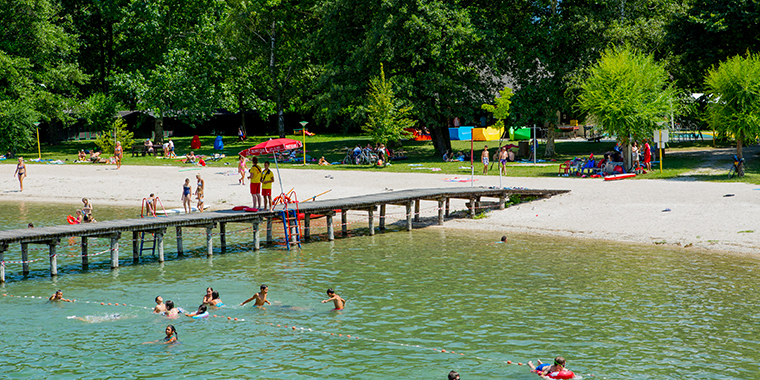 At the lakeside, a nine-year-old boy from SOS Children’s Village Moosburg in Austria says: “It’s my fourth time here. It’s a lot of fun. There’s a dance group and cinema evenings. You can play Lego too. It gets better each year. Everything is great, and the food is good." For many of the children, the holiday here is a unique opportunity to spend time in a foreign country and meet people from other nations and from different cultures. “I’ve met other young people from SOS Villages in Austria, Germany and Hungary, and we plan to keep in touch,” says a 15-year-old boy from Belarus. Even when the holiday is over, the children have memories that they can share with their friends back home and have gained new experiences. When problems occur, they are usually dealt with in the individual village, but when other groups are involved, the camp management intervenes. An expert advisor is also on hand if conflicts that are more serious need to be resolved. “Things do go wrong, and we try to resolve them as soon as possible. We have to face every issue that comes to us,” says Stefania Bortolotti.